Our AA literature says: “General Service Conference Approved.” The General Service Conference needs your help. Prior to the 2019 Conference in New York, there are Pre-Conferences where AA hears your ideas and thoughts. 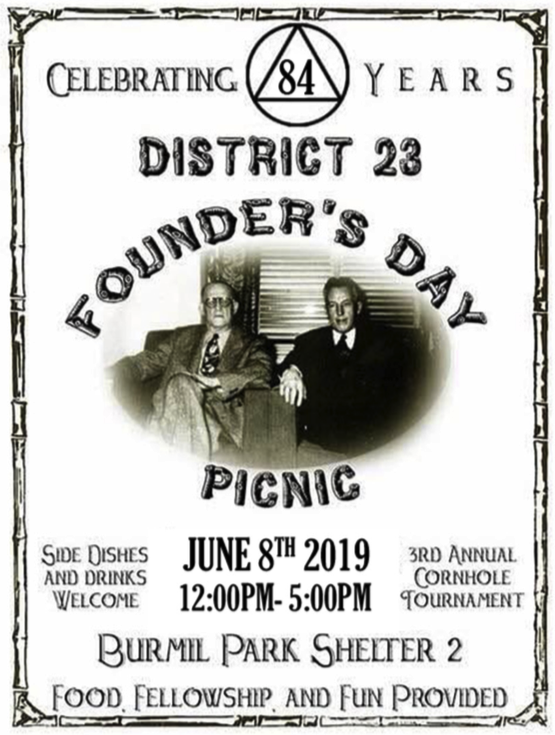 AA members from 12 districts in Central NC will be attending this event. AA will not know your thoughts if you don’t share them. This is your chance to do that. 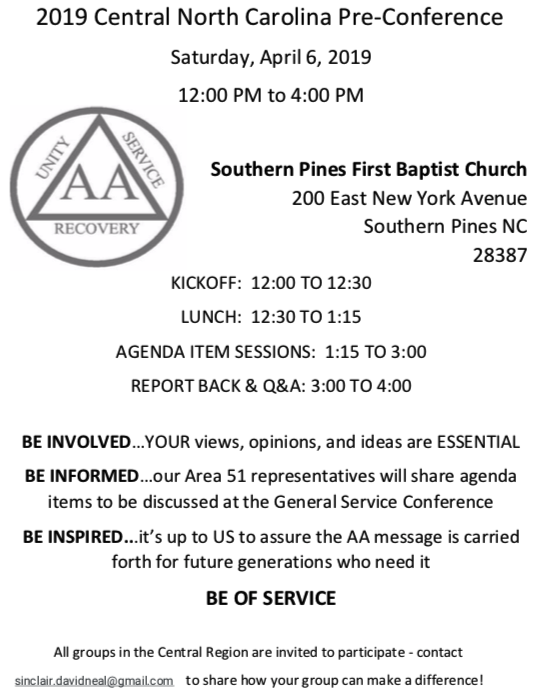 The Central Pre-Conference is one of four Pre-Conferences happening in North Carolina and is where AA members of the middle of the state can learn about and discuss agenda items for the 2019 General Service Conference (GSC) in New York. 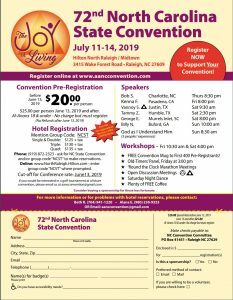 Our Area Delegate will be present at this event to be informed of our thoughts on some very important agenda items and will use this knowledge while participating in the GSC as the delegate for North Carolina (General Service Area 51).